Based on data from the New Jersey State Cancer Registry, more than 6,000 men develop prostate cancer on average each year in the Garden State. These numbers have fluctuated in the past decade from as low as 5,800 new prostate cancer cases in 2014 to more than 7,700 in 2011. The fluctuations reflect the changes in the guidelines at the national level about screening for prostate cancer with a blood test that measures prostate-specific antigen (PSA). In 2012, The United States Preventive Services Task Force made a recommendation against PSA screening for healthy men. The dip in new diagnoses in 2014 likely reflects the effect of the guidelines on clinical practice. The recommendation against performing PSA screening was based on studies showing that the harms of the tests outweigh its benefits. 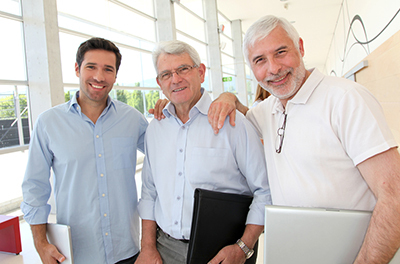 In 2018, the same agency issued a new recommendation for men between the ages of 55 and 69 to discuss the matter with their care providers prior to checking PSA. For patients 70 and above, the agency still recommends against prostate cancer screening based on PSA. This controversy and reversal has created confusion. The challenge for patients is how to make these individualized decisions? What are the harms and what are the benefits? Harms are undergoing unnecessary testing including biopsies, having anxiety and stress due to the finding of potential cancer (where no cancer exists) and potentially having treatment for cancer that causes incontinence and erectile dysfunction when cancer did not require treatment. Benefits of PSA are finding aggressive cancers and treating early to prevent complications including death. To see if PSA screening is right for you, talk to your doctor about the rationale, risks and benefits of the testing. The conversations should include the “what if…” scenarios of finding elevated PSA and the potential for additional testing and biopsy. This approach of having the conversation before testing should occur at each step of the way. 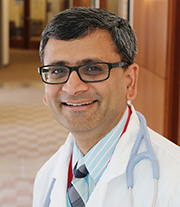 Biren Saraiya, MD, is a medical oncologist in the Urologic Oncology Program at Rutgers Cancer Institute of New Jersey and an assistant professor of medicine at Rutgers Robert Wood Johnson Medical School.